Launching Deus-Ex inspired bionic arm! Yes, you can buy it ! Game publishers Square Enix and Eidos Montreal entered a joint venture with a UK-based startup and a hardware manufacturer to create prosthetic limbs inspired cyberpunk video game series Deus Ex and the movie terminator. 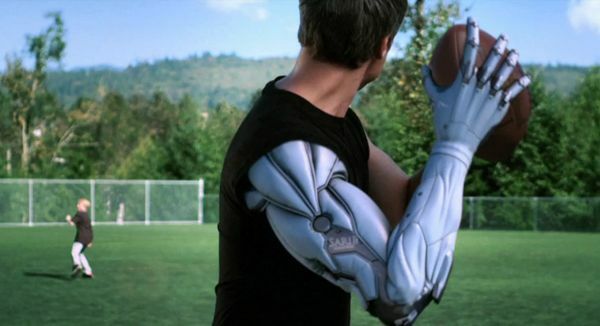 Using their expertise in “near-futuristic art direction and augmentations,” the game’s creators Eidos-Montreal have designed a bionic arm based on the limb sported by Deus Ex hero, Adam Jensen. As a part of the “Augmented Future” project, the Deus Ex team have partnered with gaming company Razer and UK start-up Open Bionics, which develops low cost, 3D-printed prosthetic arms and pop culture-themed prosthetics for kids. The prosthetics are expected to be released sometime in 2017. However, they will be featured at gaming events like E3 and GameCom. This isn’t the first time prosthetic limbs were created with inspiration from a highly popular video game series. Game publisher Konami engineered a prosthetic arm based on the one used by Snake in Metal Gear Solid 5 for James Young, an avid 25-year-old British gamer who lost his an arm and leg in a train accident in 2012.